Summit Power Group signed a contract tonight with Chinese and Canadian heavy industrial firms at an event in Beijing to build the Texas Clean Energy Project plant near Penwell, a development Summit described as a “major step toward financing and construction” of the more than $2.5 billion plant. The signing in Beijing was scheduled for 9 p.m. central time Monday, which was Tuesday morning in China, said Laura Miller, the Texas director of the Summit project. The contract represented a major hurdle cleared by Summit toward building the Texas Clean Energy Project, a 400 mega-watt coal plant that will capture more than 90 percent of CO2 emissions at its 600-acre site near Penwell and will then sell that carbon to oilfield customers. The contract is for engineering, procurement and construction, or EPC work. Summit is still trying to raise money for the plant. The contract signed Monday covers “the bulk of construction,” Miller said. Specifically, it covers engineering, construction, commissioning and operational demonstration of the chemical and carbon capture block for the project. That work will be integrated with a combined cycle power block from Siemens, which is a series of engines used for generating power. Siemens will also supply coal gasification equipment for the chemical block. Summit officials expect to finalize a contract with Siemens later this month, Miller said. One of the firms to sign on Monday was China Huanqiu Contracting and Engineering Corp., also called HQC. The other firm was Montreal-based SNC-Lavalin Engineers and Constructors, whose major responsibilities include construction, construction management and procurement of bulk materials. The companies, which operate internationally, entered a consortium agreement on the Summit project. Locally, economic development officials want the Summit plant for the estimated 2,000 workers needed to build the plant and the 150 full-time workers it would employ, along with the property tax windfall it would bring to local entities such as the Ector County Independent School District. Besides CO2 and power, the plant would produce urea and, to a lesser degree, sulfuric acid. Summit renewed an agreement in October 2014 with CPS Energy in San Antonio to sell electric power to the utility. Construction contracts represented the greatest challenge for the project, and having them will allow Summit officials to raise debt and whatever remaining equity needed to fund the project, said Jim Wood, a former deputy assistant secretary of energy who specialized in clean coal from 2009 to 2012 and the current director of the U.S.-China Clean Energy Research Center at West Virginia University, who is not a part of the Summit project. “It’s a go,” Wood said, as long as Summit can maintain handling less difficult matters, such as permits and the agreement to sell power to San Antonio. The Odessa City Council on Tuesday is scheduled to vote on extending an agreement with Summit for the 600 acres of land. The deal would otherwise expire at the end of this month. Crew is scheduled to visit Odessa on Thursday. 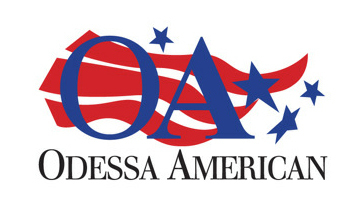 The Odessa Chamber of Commerce is planning a Thursday evening celebration with him at the Odessa Country Club. Now, Summit must still secure financing for the plant, and, in a statement Monday, the company set a target for “spring 2016” to do so. A groundbreaking ceremony would follow, Miller said. The Export-Import Bank of China is expected to supply all of the debt for the project, subject to a due diligence review. Up to about $700 million of the plant’s cost is expected to come from private equity investors, Miller said. The clean-coal project has suffered a series of delays since estimated costs, especially labor rates, ballooned in 2013 amid the region’s oil boom. In September, Summit missed a spending deadline for stimulus funding from the Department of Energy, costing the project about $104 million. “The federal agency had awarded Summit $450 million for the plant — $239 million remains unspent and in the hands of the DOE, which distributes funds to the project only after Summit pays project expenses and submits bills to DOE for partial reimbursement,” Miller said. But the loss came at a time when the DOE had already yanked funding from two other carbon capture projects this year after they also failed to meet spending deadlines, raising questions about the viability of such projects. Yet Summit officials vowed to press ahead, and Miller announced in September that the DOE helped Summit secure $811 million in tax credits from the Internal Revenue Service, redeemable after financial closing and the beginning of construction, that will “more than make up for” the lost stimulus money. Summit will use those tax credits as a draw to investors. Nationally, Wood said the Summit project stands to demonstrate an environmentally viable use for coal. San Antonio getting power from the Summit plant instead of a dirtier coal plant would show such promise, Wood said. Contact Corey Paul on Twitter @OAcrude on Facebook at OA Corey Paul or call 432-333-7768.